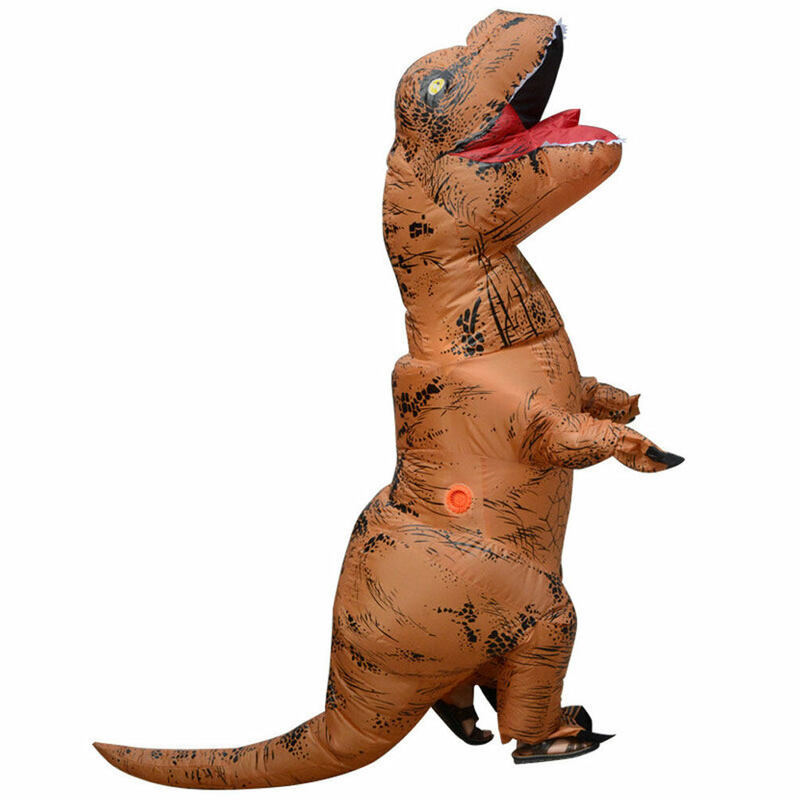 ***SUPERIOR QUALITY – Our T-Rex Costume is made with 100% polyester material. 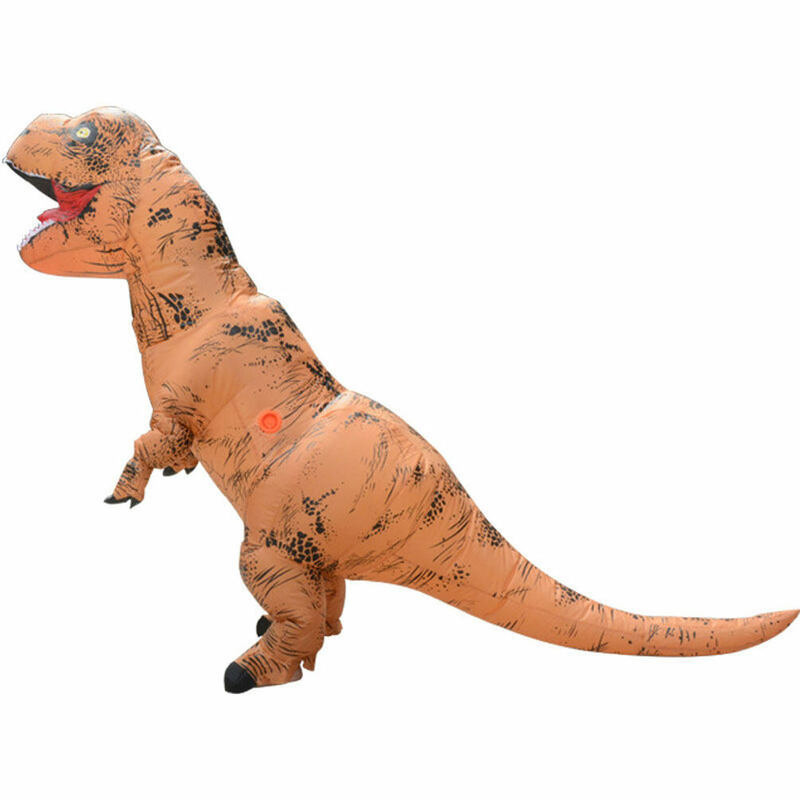 The inflatable costume is ultra-durable, waterproof, lightweight, and most importantly, comfortable to wear.Adult T-Rex Dinosaur Inflatable Costume it is not a one-time use product. Even in hot summer, it will not bring discomfort to the body. 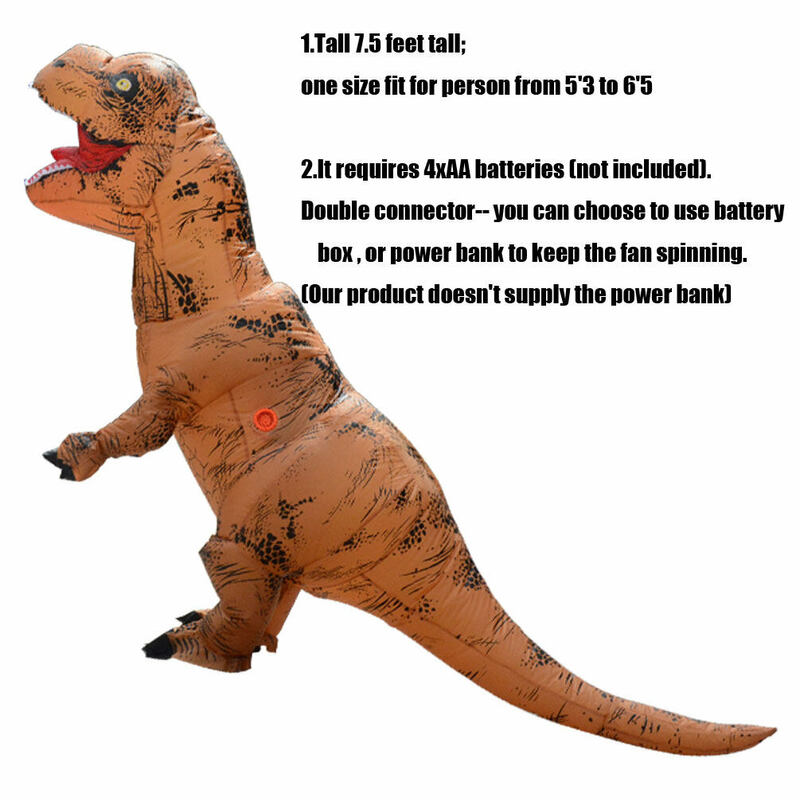 ***EXCELLENT FEATURES: Double air blower,8 pcs batteried needed.This adult dinosaur costume comes with built-in shoe covers, gloves, battery case & fan. It also comes with re-enforced stitching to ensure the inflatable costume lasts a long time. 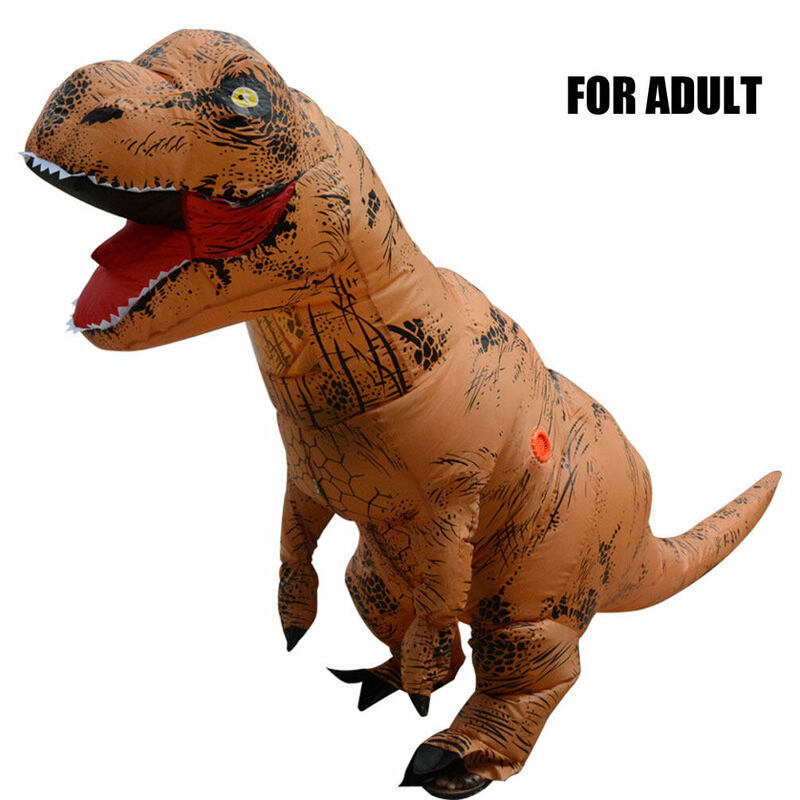 ***PERFECT FIT – This adult inflatable dinosaur costume is One size for person　from 5'3 to 6'5 (160cm-195cm). Maximun perimeter 160cm(5"3') for chest; Maximun perimeter 174cm (5"7') for waist. Dress up like a dinosaur and walk in comfort. ***QUICK & EASY SETUP – The included battery-operated fan inflates the costume in seconds. It requires 4xAA batteries (not included).Double connector-- you can choose to use the battery box (Need 4xAA batteries), or power bank to keep the fan spinning. 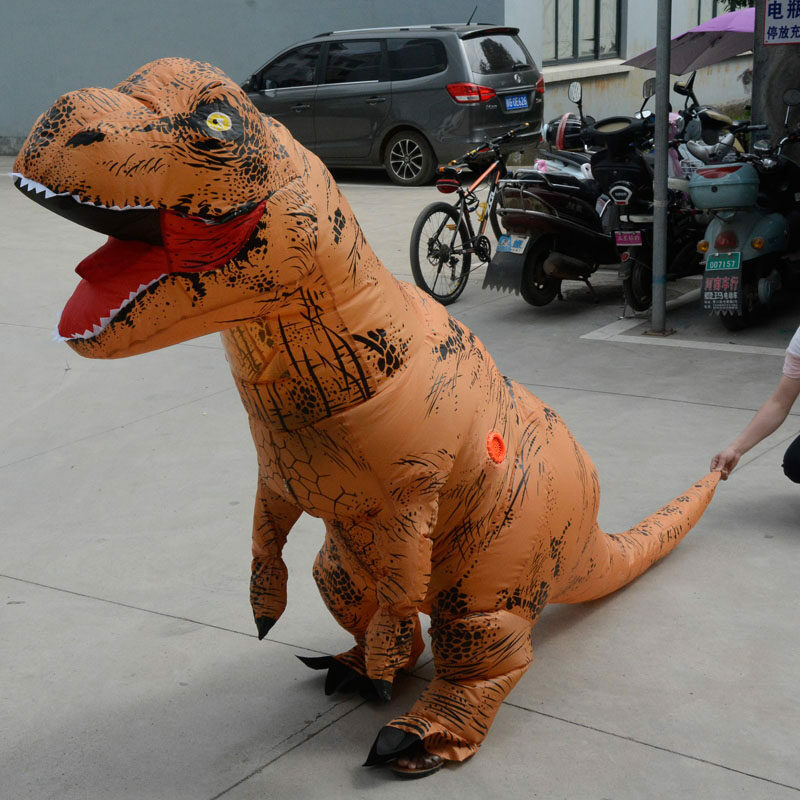 (Our product doesn't supply the power bank) Once inflated, the dinosaur costume looks very realistic!